Retro 12 international Flight shirts. Jordan Retro 12 shirts to match International Flight 12s. Retro 12 international Flight shirts. Jordan 12 shirts to match. Air Jordan 12 International Flight. Shirts matching Jordans. Air Jordan 12 Navy White Red colorway. View the entire matching collection of Jordan 12 International Flight below. 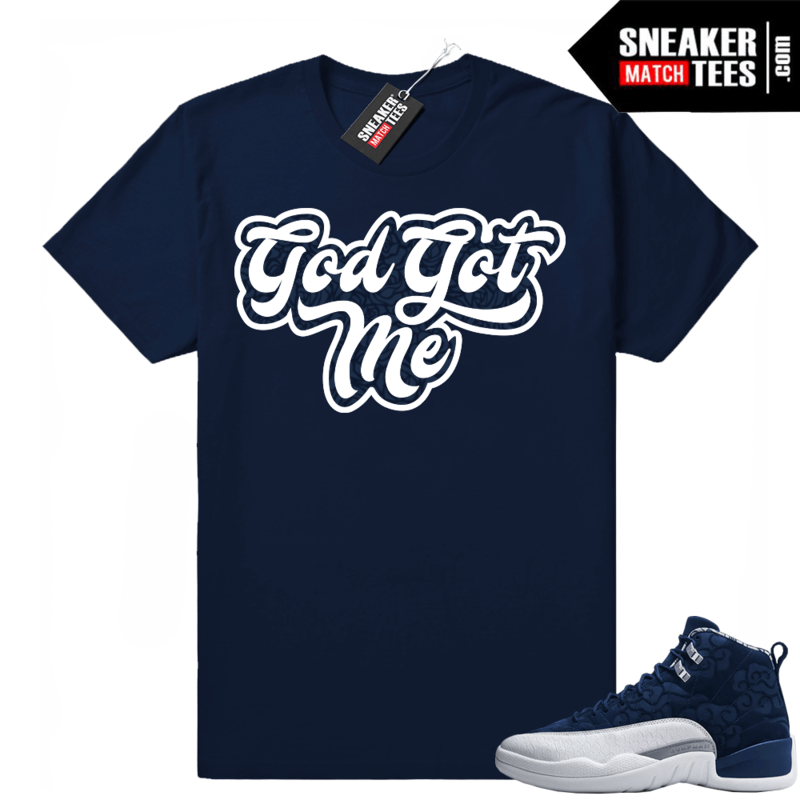 The God Got Me shirt was designed to go match with your sneakers. This design is exclusive to Sneaker Match Tees Online shop. Complete your Sneaker outfit with this exclusive design. Sneaker Match Tees is the #1 Online Shopping destination for streetwear clothing and street style clothing including sneaker tees, graphic tees, streetwear t shirts, streetwear crewnecks, streetwear hoodies designed to match the newest jordans, jordan retros, nikes, Lebrons, Foamposites, KDs and the best online shopping experience when looking to match your sneakers online.